Cucumbers are one of the oldest types of vegetables grown. Cucumber is an annual plant belonging to the Cucurbitaceae family. 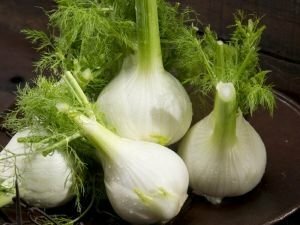 It contains seeds and is actually a fruit, but because of it’s slightly bitter and sour taste, it is grouped with vegetables. Cucumbers are the vegetables with the highest content of water. 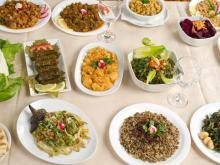 The species cultivated are divided according to whether they are for eating fresh or for pickling. 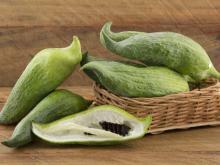 Cucumbers are consumed fresh, cylindrical in shape and with a length of about 25 to 35 cm. Their skin ranges from green to white, can be either smooth or in strips, depending on the variety. The inside of the cucumber is very pale green, thick and crispy. Cucumbers grown to be pickled are much smaller in size. Gherkins are one of the varieties of cucumbers grown for this purpose. 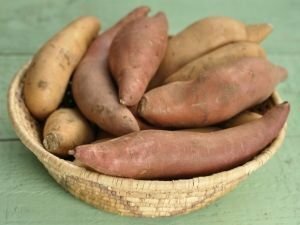 so because of their beneficial skin healing properties. Growing cucumbers in greenhouses was introduced at the time of Louis XIV. Early colonists in turn brought cucumbers to the United States. Pickled cucumbers started were made for the first time in ancient Spain, after the vegetable was brought there by Roman emperors. Cucumbers have a very low nutritional value. 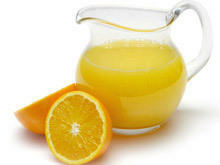 About 95% of the content is mostly water, very small amounts of pectin, cellulose and proteins. Cucumbers are a good source of vitamin C and the mineral molybdenum. 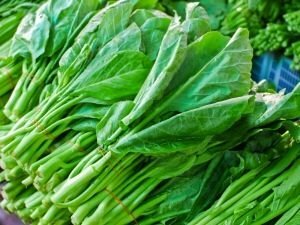 They are also a good source of vitamin A, potassium, manganese, folate, dietary fiber, magnesium, and extremely important mineral silica. An interesting fact is that the iron content of about 100 g cucumbers is higher than that found in grapes and strawberries. 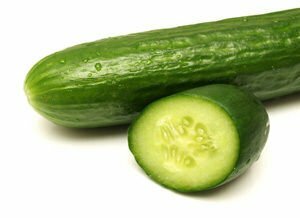 100 g cucumber contains 13.52 calories, 0.72 g protein and 99.28 g water. The choice of cucumber is determined by it being firm, rounded, and their color is bright to dark green. You should avoid cucumbers that are yellow, faded or wrinkled at the top. 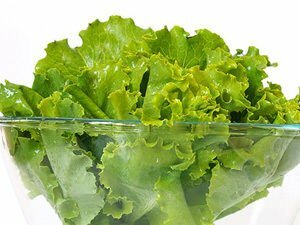 These vegetables should be stored in the refrigerator, where they can remain fresh for several days. It is recommended to be used within one or two days. Cucumbers and other vegetables are tender sometimes treated with wax to protect against injuries during transportation, it follows that they must be peeled before consumption. Cucumbers are one of the most widely used products. 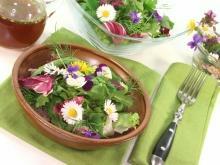 They make up a lot of salads - one of the most famous Bulgarian salads, namely shepherd salad is made with cucumbers. 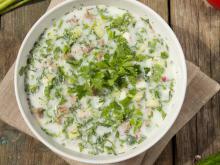 Cucumbers combine very well with milk, which is why they are prepared with salad and with yogurt in the notorious tarator soup. Cucumbers can be consumed alone, seasoned with just a little salt. Small cucumbers /gherkins/ are used for canning, making them one of the most popular winter snacks. Cured cucumbers are used in some dishes - mostly chicken, and some dishes with mince. Cucumber juice is used in diet food, drank undiluted or in combination with other vegetable juices. Since cucumber juice does not taste very good, it is often used only as a supplement to various vegetable cocktails. 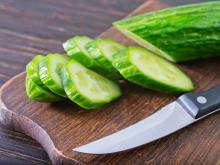 Raw cucumber is placed on the skin, so you can reduce inflammation. Cucumber juice can reduce heartburn, helps in the fight against gastritis and ulcers. 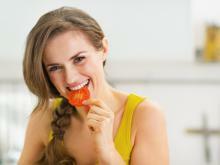 Eating cucumbers can be very beneficial in diseases of the teeth and gums. 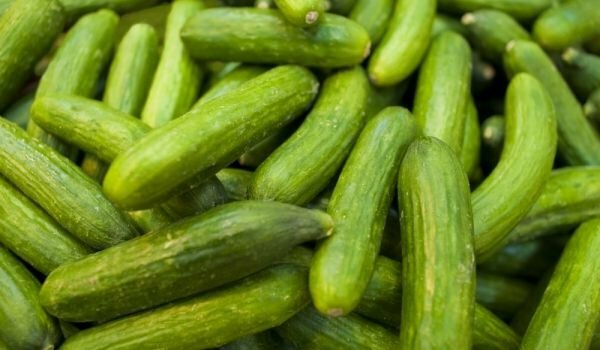 The inside of cucumbers is primarily composed of water but also contains ascorbic acid (vitamin C) and caffeic acid, which helps to soothe skin irritations and reduce swelling. The skin of the cucumber is rich in fiber and contains a number of useful minerals, including silica, potassium and magnesium. 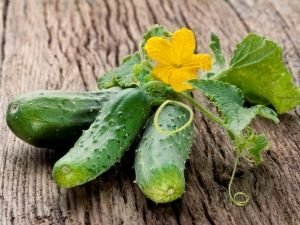 The silica in cucumber is an essential component of connective tissue, which includes muscles, tendons, ligaments, cartilage and bones. The juice of the cucumber is often recommended as a source of silica to improve the complexion and health of the skin. 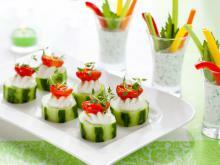 Due to the high water content in it, cucumber juice is a natural moisturizing agent. 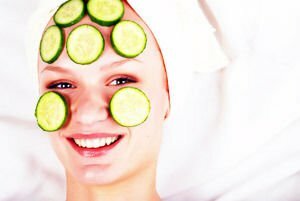 Cucumbers are used topically for various skin problems, including swelling under the eyes and sunburn. Both compounds contained in cucumbers - ascorbic acid and caffeic acid, prevent water retention. Cucumbers help in high blood pressure. Besides being fresh and dietetic food, cucumber is an essential beauty product. It is a great tool for whitening and softening the skin. 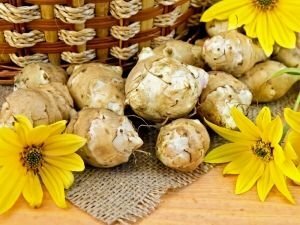 The cosmetic properties of this vegetable go far beyond food. Cucumbers have moisturizing and cooling properties. Cucumber juice is present in many beauty products for the skin. Cucumber Soap is used by thousands of women and cucumber lotion after exposure to strong wind is irreplaceable. The most common use of the cucumber is presently in cosmetics. Cucumber jelly is used for rough and very dry skin. 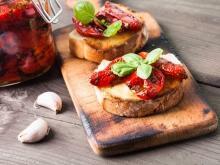 Which Foods are Good for Gout?